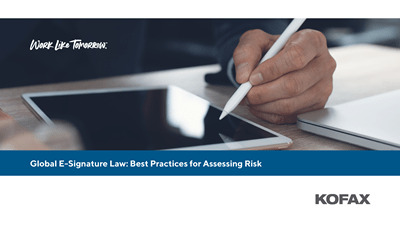 Achieving compliance with current and future regulatory requirements—in financial services, insurance, government or any industry—is complex, expensive and time-consuming. The challenges are many: collecting data from disparate locations and integrating into your internal processes; delivering comprehensive audit trails; ensuring the secure involvement of people in the process; monitoring, tracking and reporting compliance information on a timely basis; and managing legacy systems often ill-equipped to adapt to frequent regulatory changes. To securely deliver compliance—especially when customers, employees and partners work on multiple channels, including mobile—you must digitize your compliance process. 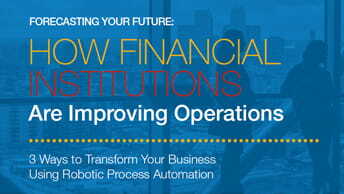 For fraud detection, identity verification or compliance with Customer Due Diligence (CDD), Know Your Customer (KYC), Anti-Money Laundering (AML), General Data Protection Regulation (GDPR) or other requirements, your organization must implement a digital transformation solution that consistently applies business rules while offering the flexibility to evolve as regulatory compliance requirements change. Deliver data and documents to risk management and other teams at the right time and in the right format. Ensure that you keep all (and only) the data and documents required, eliminating delays and reducing the risk of fines for non-compliance. Automatically extract data and documents from any source, and securely deliver to the right processes and people. Pre-define the data required by a regulation, when and how to collect it, and where to deliver it. Insurers are eager to partner with us, because they are confident that we correctly represent their products in the market – which is important, because they underwrite the policies. Insurers know that if they change the terms of their policies, we’ll be able to alter the documentation, agree on a new version with them, then distribute the latest copy much faster than before. Previously, back-and-forth processes like this took a couple of days, whereas now we can often finalize changes on the same day. It’s a great way for us to strengthen relationships with our partner insurers. When you automate the acquisition, enhancement and delivery of required data and documents, and securely engage the right people at the right time, you streamline your processes to ensure compliance and reduce the risk of fines and other sanctions.